März – in German ‘March’ is the long month of transition in this part of the world. In between the neverending winter and the long-awaited summer, the darkness and the light, the Berlinale and the Freiluftkino season, the CTM and the Atonal. I actually love the feeling when the first, more intense rays of the morning sun burn my face on my way to work… on my bike \o/ (I love my bike, but I am not one of these Berliners riding their bikes even when temperatures drop to a negative scale!). Two years ago, high on discovering all the new places in the city, I participated for the first time in the event organized by Berliner Festspiele in my beloved music cathedral aka Kraftwerk called ‘The Long Now’. The concept of it is to bring a super ambitious line up of electronic musicians for a 29 hours long event of the Daylight Saving Time overnight switch, allowing the participants to indulge into the darkness, even allowing some sleeping spots at the venue. In Radialsystem V, the Japanese artist Chiharu Shiota together with alif created a musical installation’Split in the wall’ with music as a concept of blood running through the veins – instruments. The dreamy Long Now event will happen again this year from 25th March 18:59 till 26th March 23:59. Emerge in the lucid dreaming while in Kraftwerk, before the spring will take over the city. And it all makes me feel how long was my winter sleep and how great is to face spring again. Simple, but happiness is free when this feeling hits! Kraftwerk stands for the ‘power station’ in German. And there are quite a few of them remaining in the centre of Berlin nowadays, including the overpraised Berghain. Its worship makes it for one of the strongest religious movements these days and it’s only a matter of time when the local authorities will start charging for the techno tax, in my humble opinion. But there is also an actual Kraftwerk in Mitte, used only for specific venues, such as The Long Now / Atonal or currently: CTM. 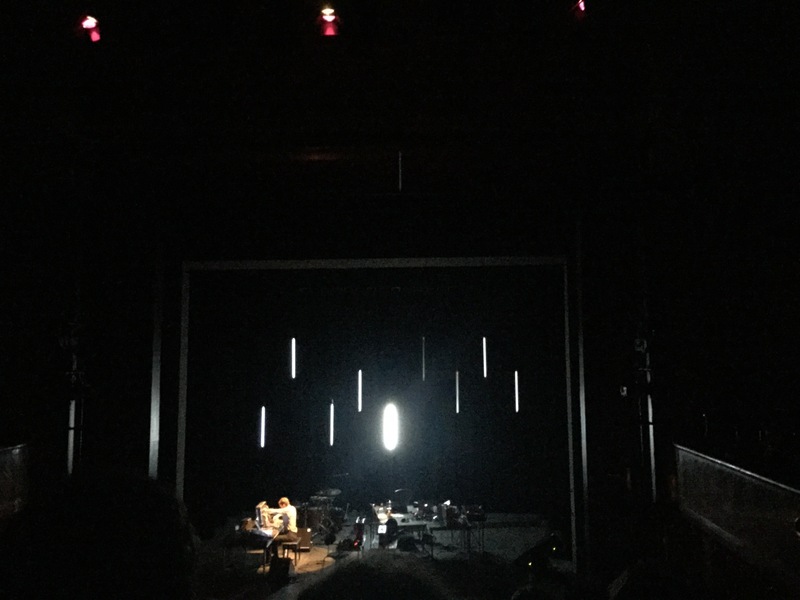 So while awaiting the Deep Web performance and Robert Henke’s concert, I decided to share the set of photos that comes from the 2015 edition of Berlin Atonal festival. During some five hot days in August last year, I was lucky to praise and dance to some amazing artists, such as Ugangan Methods (Ancient Methods + Regis), Shackleton, Alessandro Cortini, Kanding Ray, Varg, Shed, Samuel Kerridge, Lakker (who presented the amazing Tundra works), and many others. I remember the very powerful opening with the voices of the Chor der Kulturen der Welt in this mighty space, as well as the screening of ‘Industrial Soundtrack for the Urban Decay’ by Amélie Ravalec and Travis Collins. The light and sound installations set up in the basements and various labyrynths of Kraftwerk were also ery hypnotizing, almost sleepwalking ambience. So after all, I wonder why isn’t it a spot for regular events? I guess the overwhelming size of it, and the magical atmosphere of it just doesn’t match a regular Klubnacht. I think though that if Berghain is a parochial church, Kraftwerk is the cathedral, following the sacred metaphore. So, see you at the black (laser?) mass on Sunday! Special thanks goes to: Aldona Weicher, the author of the featuring photo and lately my favourite profile cover. You captured me, the place and the closing moment perfectly! 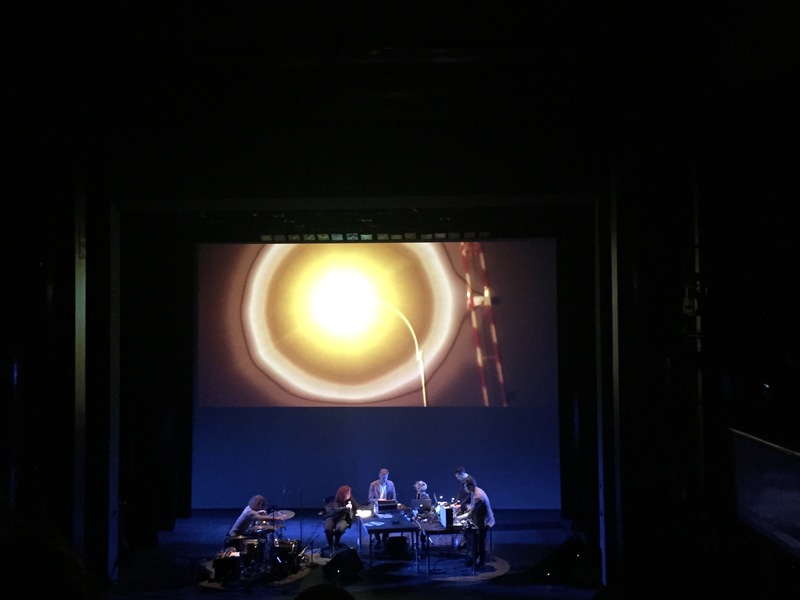 Last weekend the 16th edition of the CTM festival started off with the UN TUNE theme reflecting the ‘adventurous music and art’. 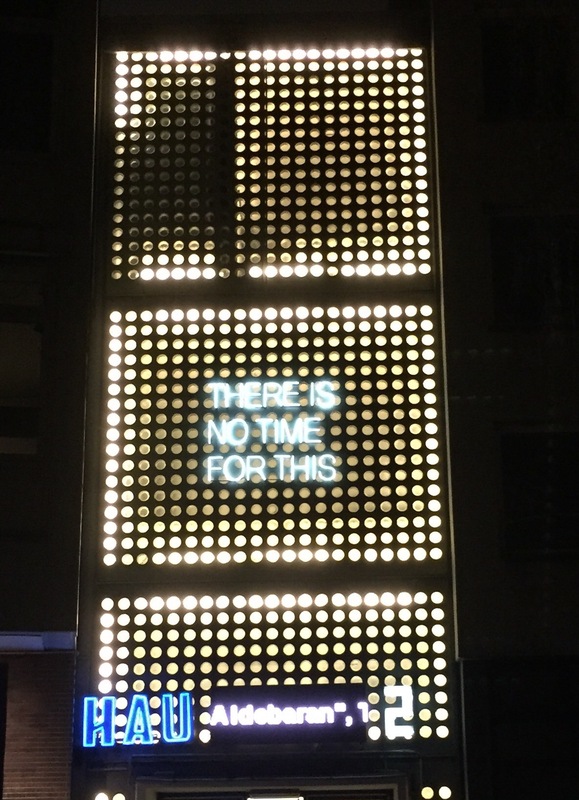 Stating the obvious, I have partially chosen Berlin as my destination for the variety of techno-related happenings literally around my corner. And as a rather faithful person I try to visit the local parish, Berghain on Sundays. So the CTM has been on my radar for a while now, even though the price of the pass seemed exorbitant. All in all, I’ve decided just for the two events so far. Now I have to eat my own words, as the opening concert in HAU and follow up in YAAM (former place of cult Maria am Ufer) knocked me off my feet. Highlights so far? Definitely Thomas Ankersmit who explored the in-ear sounds, professionally known as otoacustic emission. My personally admired photographer and performer Nan Goldin who joined Soundwalk Collective for the World Premiere of ‘Closer to Knive: Memoirs of Desintegration’ inspired by darker than noir shorts from David Wojnarowicz. And the 2014 revelation from the neighbouring Poland: Zamilska. I did not expect such a sensatory-awakening, limits-surpassing performance, taking it for purely marketing. For those in town who want to explore the CTM’s magic behind the sounds, I recommend the quirky exhibition in the Kunstraum Kreuzberg Bethanien. If you are lucky (? ), a special machine will immitate a loud sound one of its kind. You never know when it’d happen, whether it is while discovering the sound of concrete in a special tunes, or visiting one of the endarkened rooms. Not to mention that this Wednesday the ‘sibling festival’, Transmediale kicks off. Makes me wanna say thank God it’s Monday, but actually it’s the whole week that looks incredibly interesting.